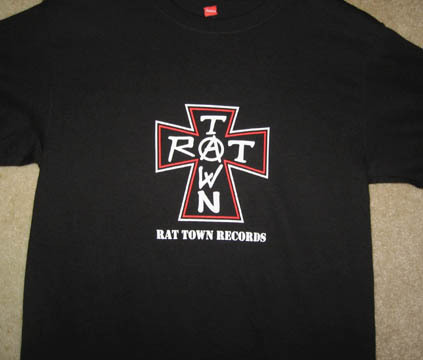 RAT TOWN RECORDS "Cross Logo" T-Shir 100% Pre Shrunk Cotton Short Sleeve, White/Red Ink on Black Shirt. Sizes -Small, Medium, Large, X-Large Please Specify Size you need with payment! Brand New Condition, Never Been Worn!